On Sunday morning, I dream. A package is delivered. My housemates and I unwrap it carefully. 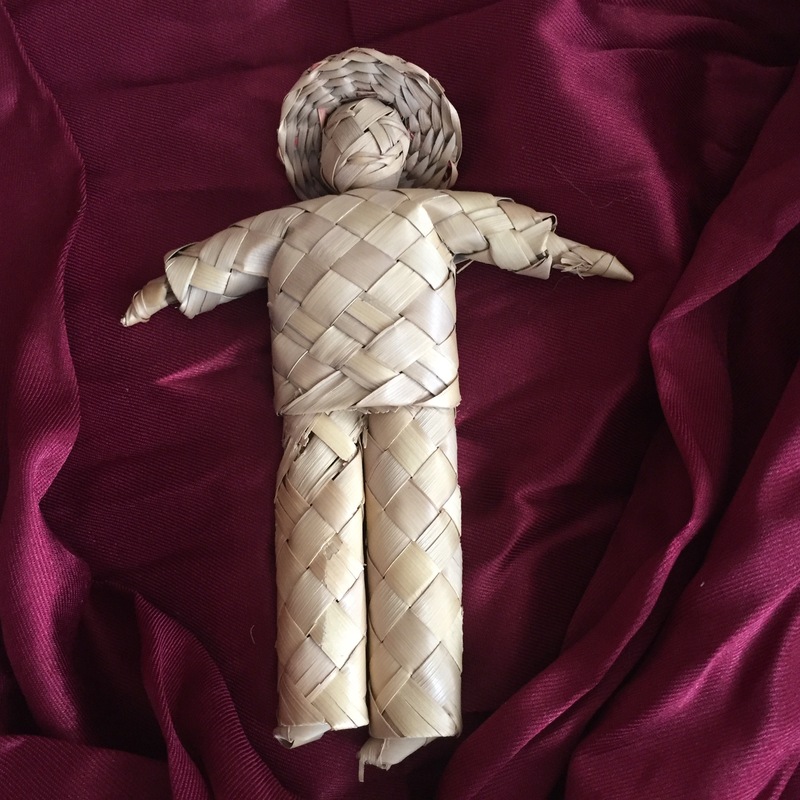 Inside is a tightly woven flax doll. The doll is and is not alive; it is a baby and full grown. My housemates consider it a baby. We should rejoice, they say, because new life is rare in our community. “Linen is prominent in the Bible, isn’t it?” she asks. A daily ritual, just for the priest. Dress in linen. Watch fire consume life. Collect ashes. Change clothing. Take out trash. Go to quiet place. Reflect. Launder linens. Start again. A daily ritual of death and rebirth. For my Christian colleagues, “death and rebirth” is the pre-Easter theme. “Death and rebirth,” may even be the essence of Christian spiritual growth. Our Jewish calendar agrees. Passover, Hanukah, Tisha B’Av, Yom HaShoah. All commemorate the “near-death and rebirth” of our people. What does “death and rebirth” mean as a psychological theme? That I am one sort of person for a decade or so? Who, when challenged by crisis, retreats into herself? And emerges changed, clothed in the sparkling clean linen of a new inner era? But now a sparkling new “me” seems a silly expectation. An unreasonable standard. A self-congratulatory fiction. And I understand: To know myself is to know more of myself. There is always more. There is no finish line. Metaphorical “death and rebirth” are not significant life moments. Every moment, I am baby and full grown. Every moment, I am alive and not alive. Every day I take out the ashes. Every day I change clothing. Unwrap life carefully, says my dream. Rejoice. Repeat. I am in a hotel room. I arrived this evening, and will leave tomorrow. And in between, my siblings and I will inter our mother’s ashes. Reading this as I tried to settle into this unfamiliar room, with cold floor and bare walls, evoked in me a deep stirring feeling of love and loss, eternally entwined. Thank you for saying exactly the right thing. Reb Laura, I hope this time brings greater bonding with your siblings in memory of your beloved mother. Thank you, Jessica, for this beautiful message. I know you also treasure time with others who share your best memories! No finish line, knowing onesself goes on and on. Thanks, Elaine, for sharing yet another connection with this post. I remember you well! Chag sameach.